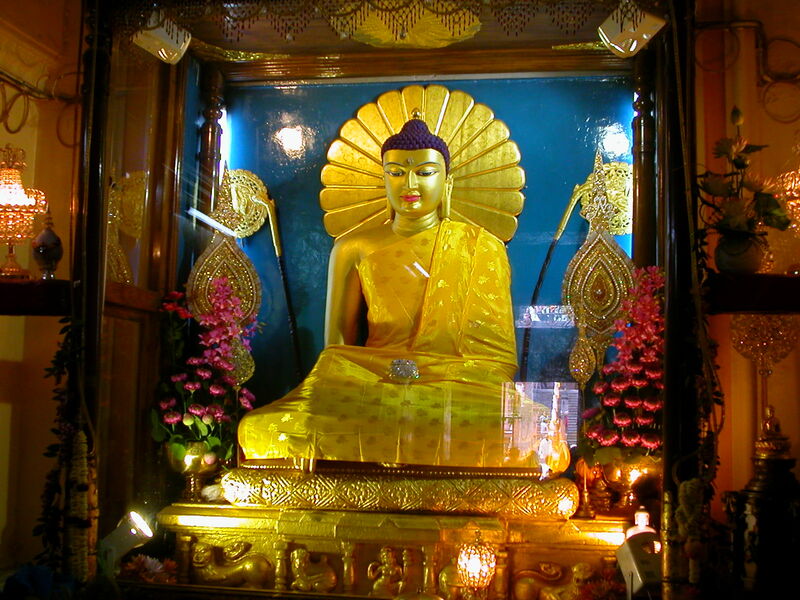 Bodh Gaya is the place where Gautama Buddha attained enlightenment under the Bodhi tree in 530 BC. 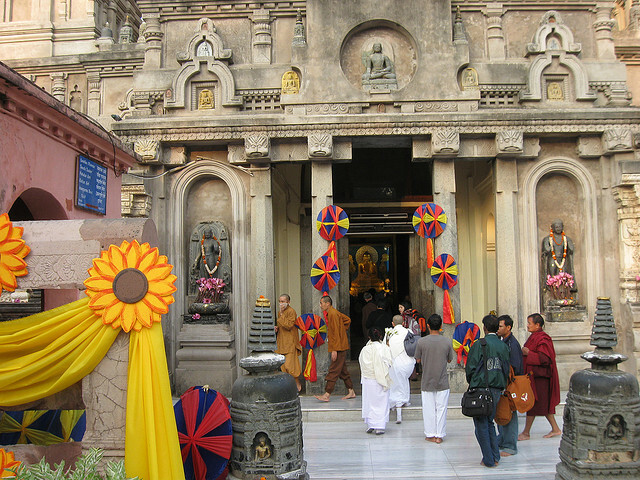 Bodh Gaya is located in the Bihar state of India and is a popular tourist and religious destination. The Mahabodhi Temple is a Buddhist temple located near the Bodhi tree and is listed as a World Heritage Site in India by UNESCO. 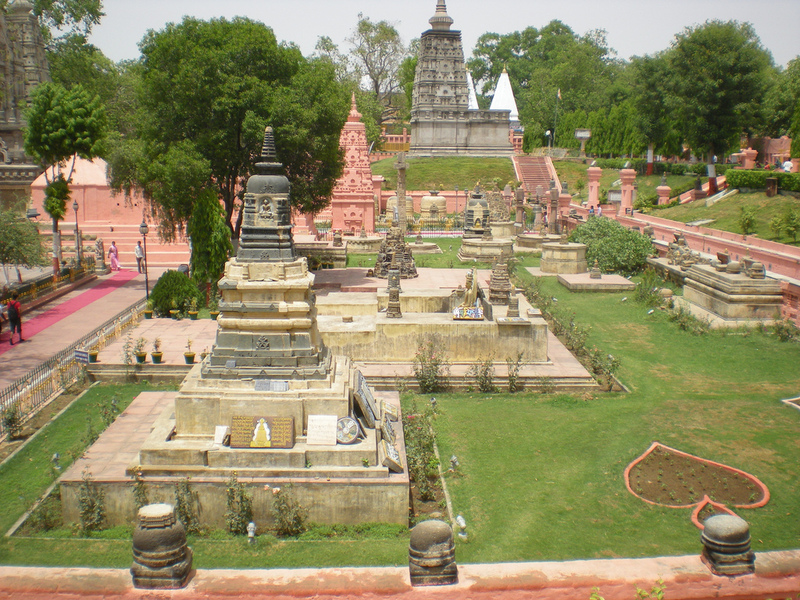 Mahabodhi means great awakening, and the area around the tree is called Bodhimanda. It is a Buddhism term which means the position of awakening. 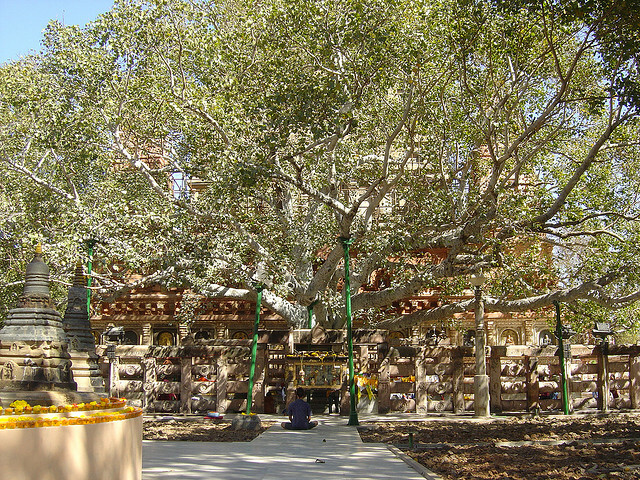 The Bodhi tree is the prime attraction inside the temple complex. 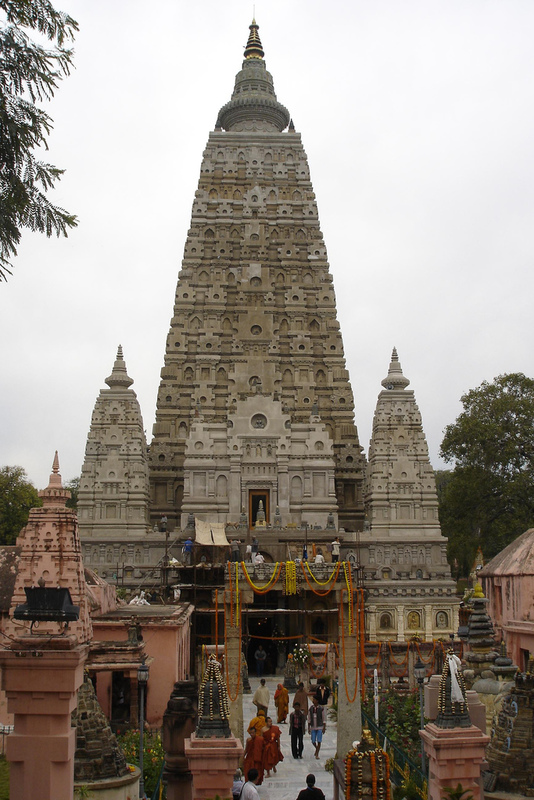 The Mahabodhi Temple was constructed by Emperor Ashoka in 260 BCE. It has gone under many restorations under different reigns. The temple is a great example of earlier brick-work in India. It is one of the earliest brick structures in eastern India that had endured for so long. The temple follows a straight-edged pyramidal design and is a seven storey high structure according to the amalakas occurring at the corners of the sikhara. The temple has a central tower that is surrounded by four smaller towers of the same design. The central tower is about 55 metres in height, and the temple covers about 4.8 hectares of land. 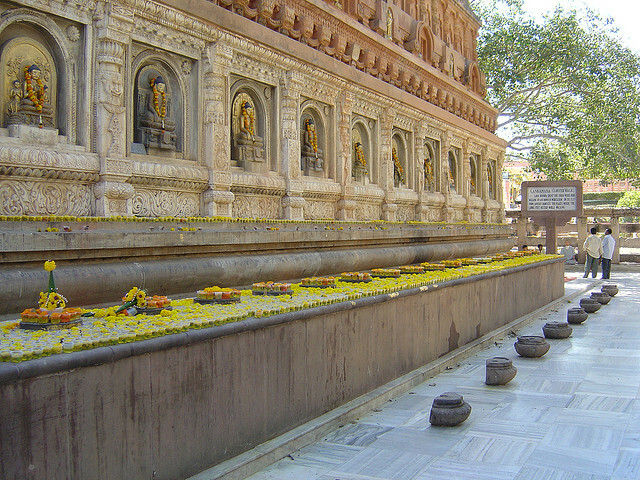 The Mahabodhi Temple is surrounded by stone railings, which have statues of Hindu Gods and Goddess. The figures of stupas, garudas (eagles) and lotus flowers are also there on the railings. It is one of the most holy Buddhists places in India. The large number of visitors it gets includes tourists and pilgrims from India and around the globe.